WHY MORE EXPERTS are recommending a physical gold component of 5%-25% of your total portfolio. ADVANTAGES available when placing gold in a personal Precious Metal IRA. GOLD MARKET areas that may best fit your long-term financial planning and protection goals. ETFs, futures, bullion coins, certified gold, bullion and more. 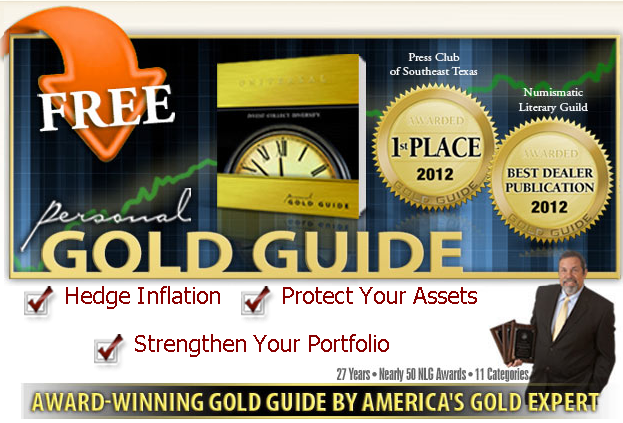 Get Your Award-Winning Expert Gold Guide Today FREE! Ships Free! Universal Coin & Bullion has served our clients, precious metal and rare coin investors nationwide for over 15 years. Compiled by market analysts and award-winning gold experts, your FREE GOLD GUIDE will provide comprehensive market insight and specific acquisition guidance to help you confidently diversify, strengthen, and secure your portfolio with gold. Begin rebuilding and protecting your wealth with the confidence of Gold, life insurance for the rest of your portfolio.